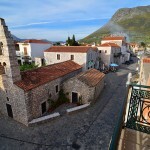 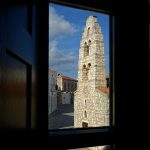 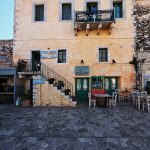 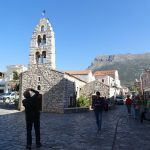 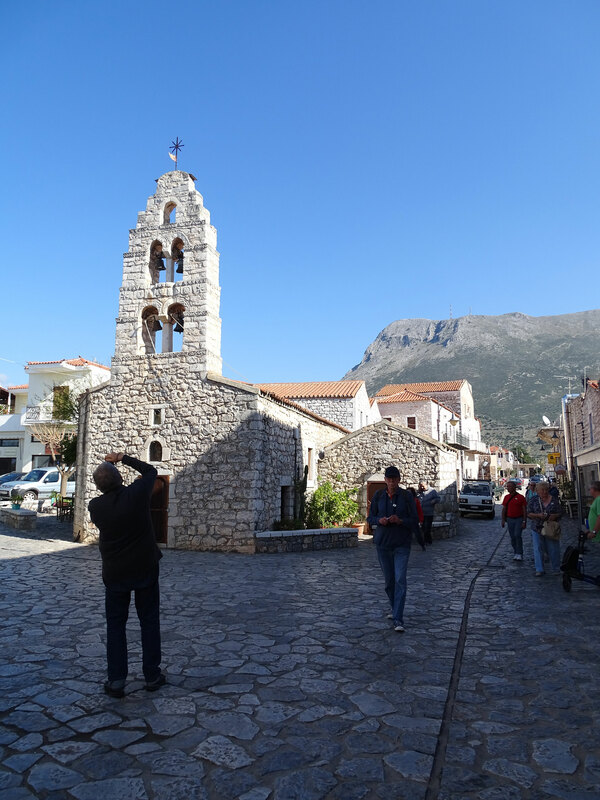 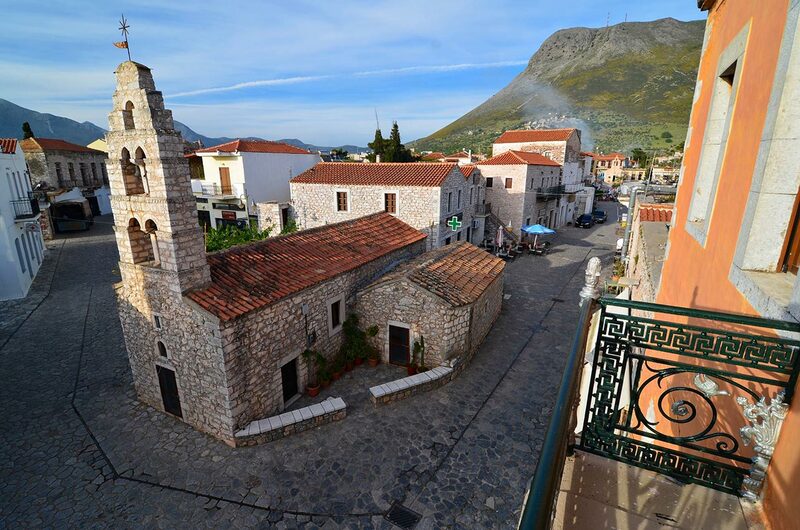 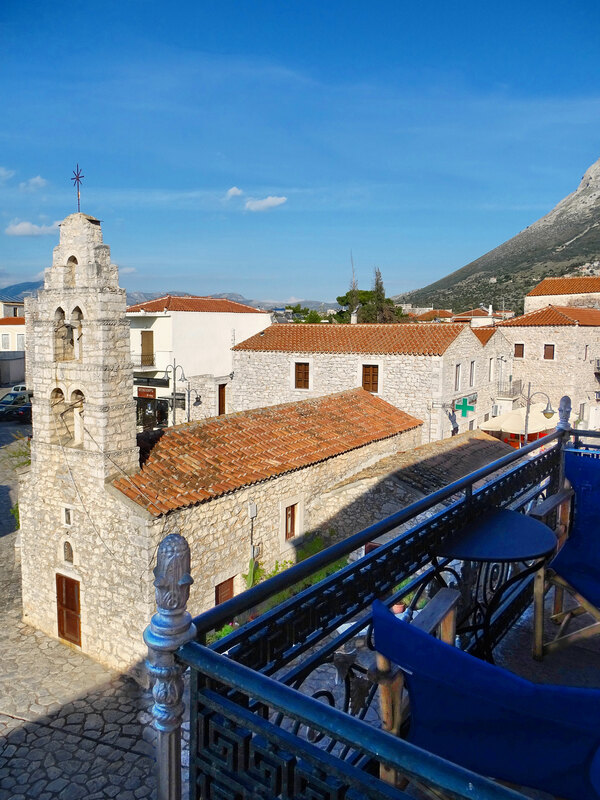 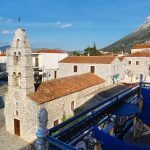 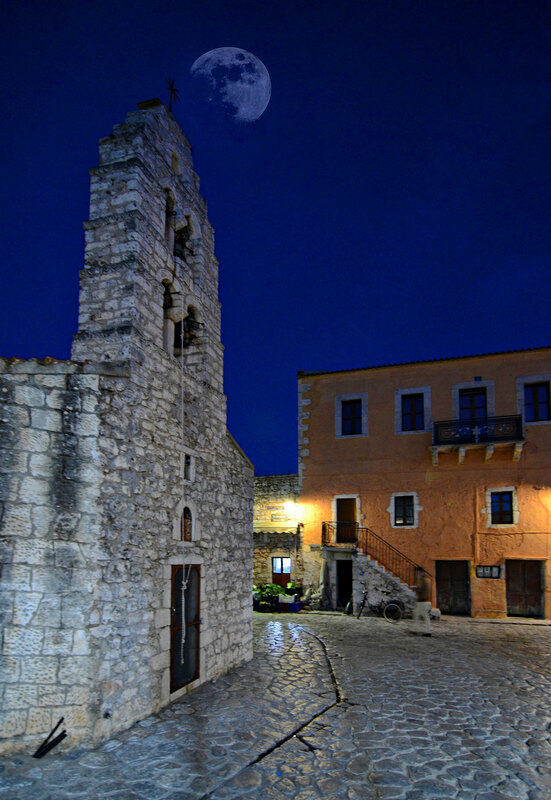 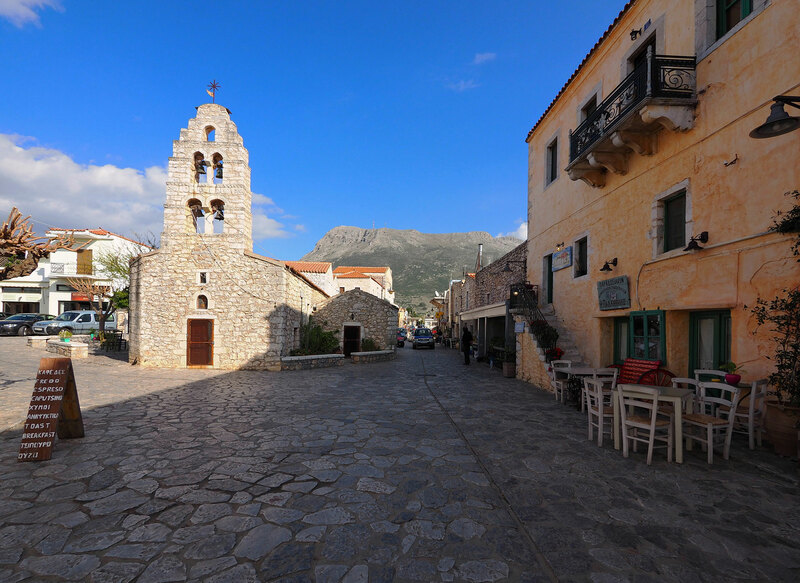 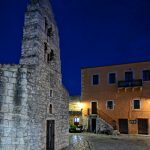 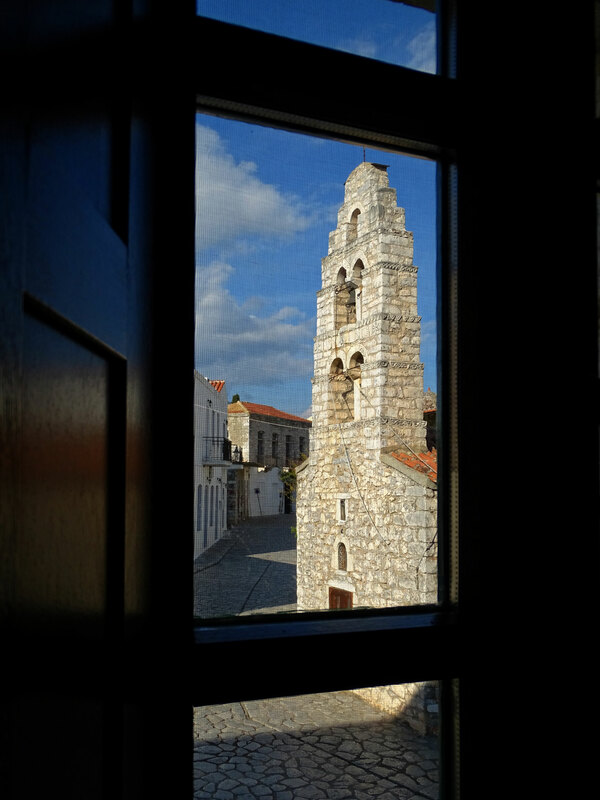 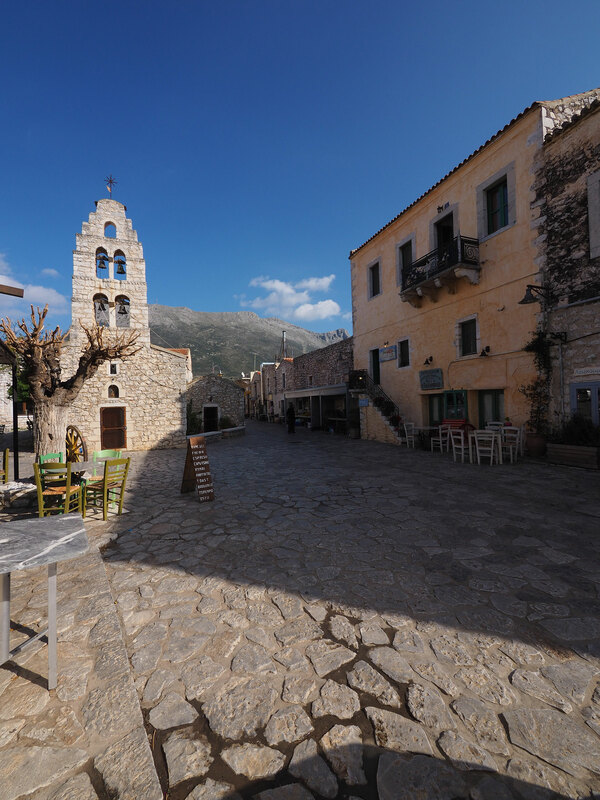 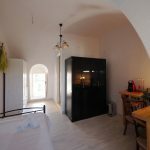 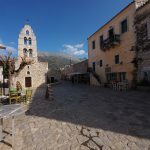 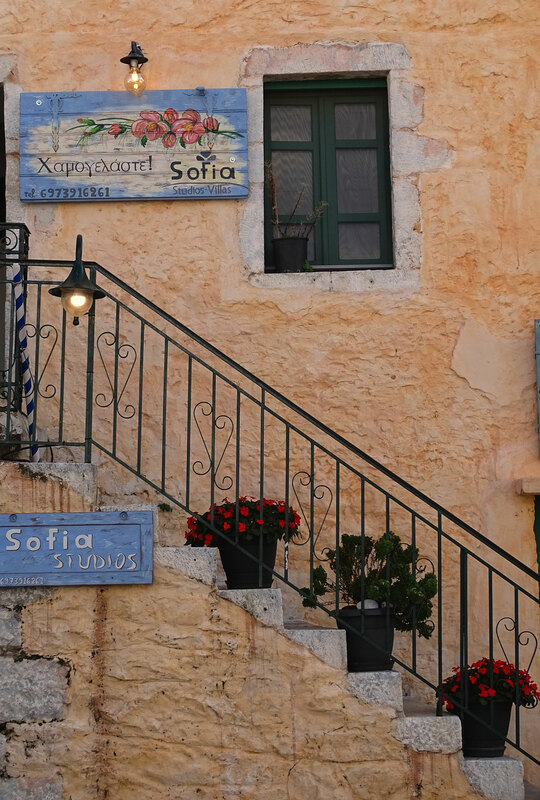 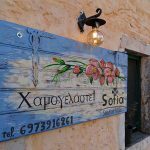 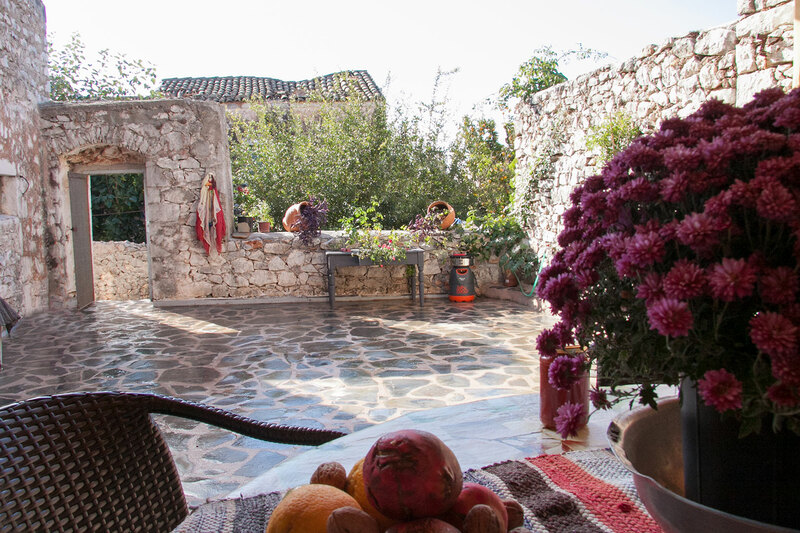 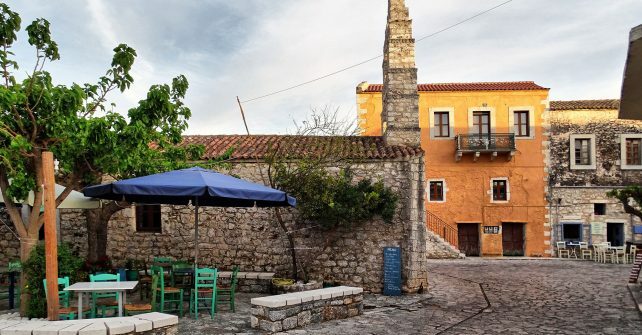 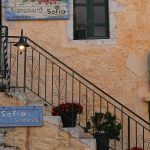 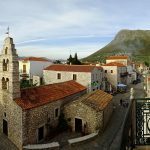 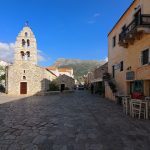 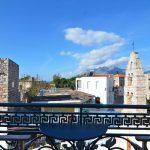 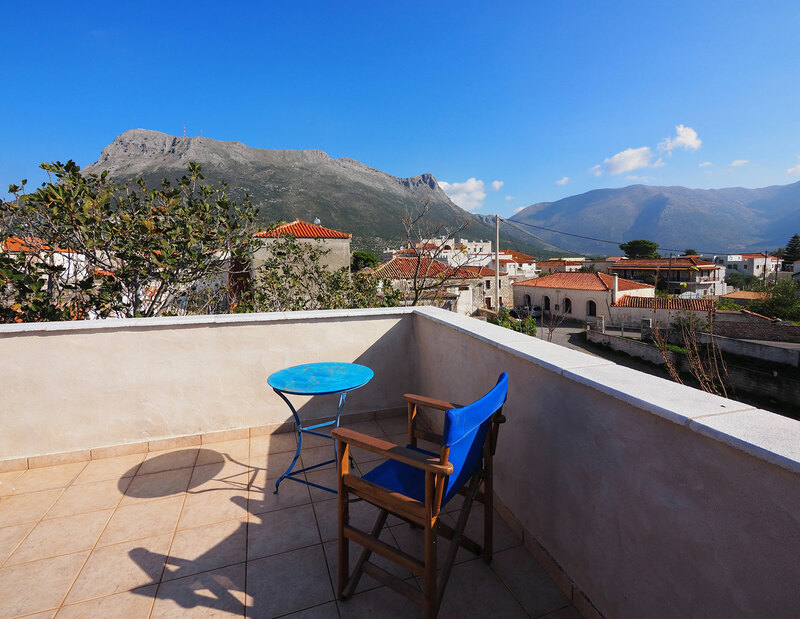 Sofia Guesthouse is located in the one of the most imposing settlements of Peloponnesus, in legendary Areopolis, the stone-capital of Mani. 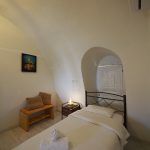 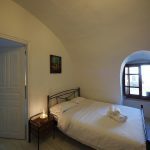 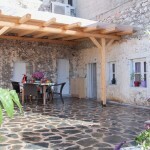 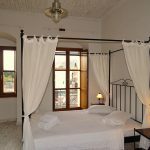 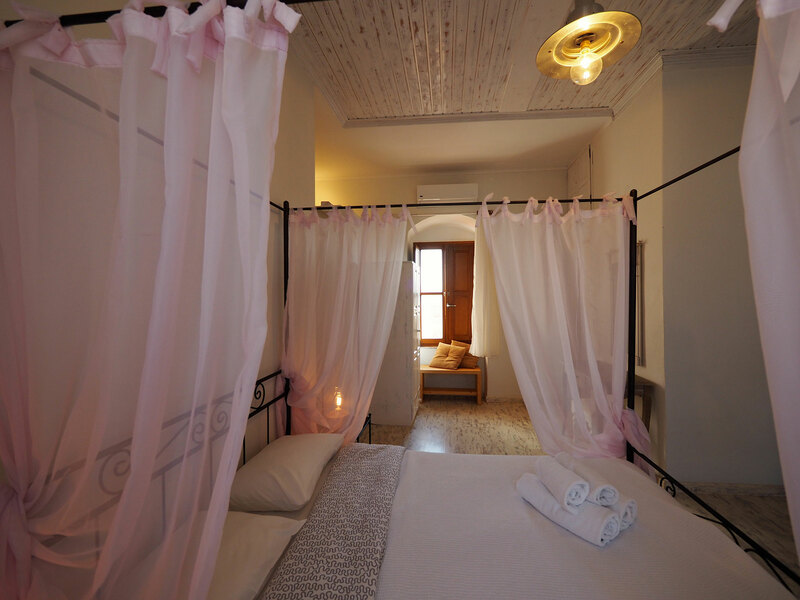 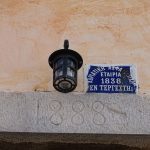 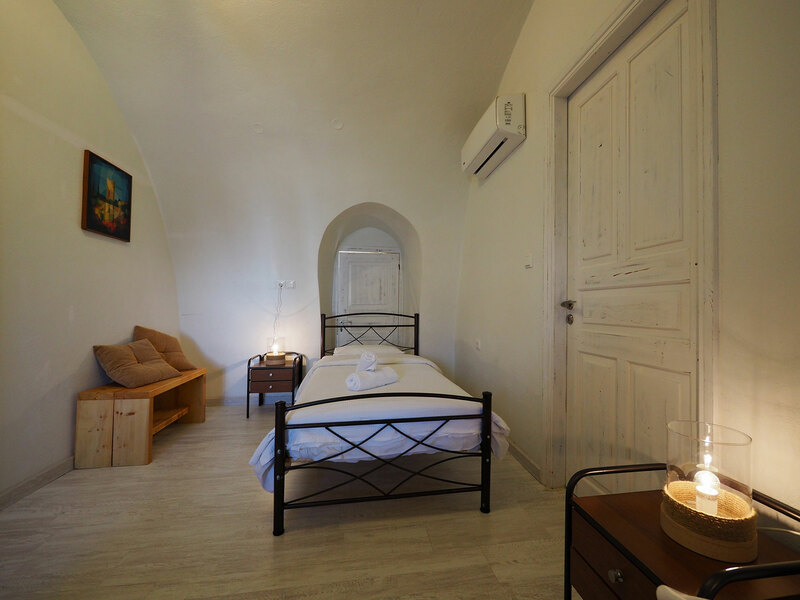 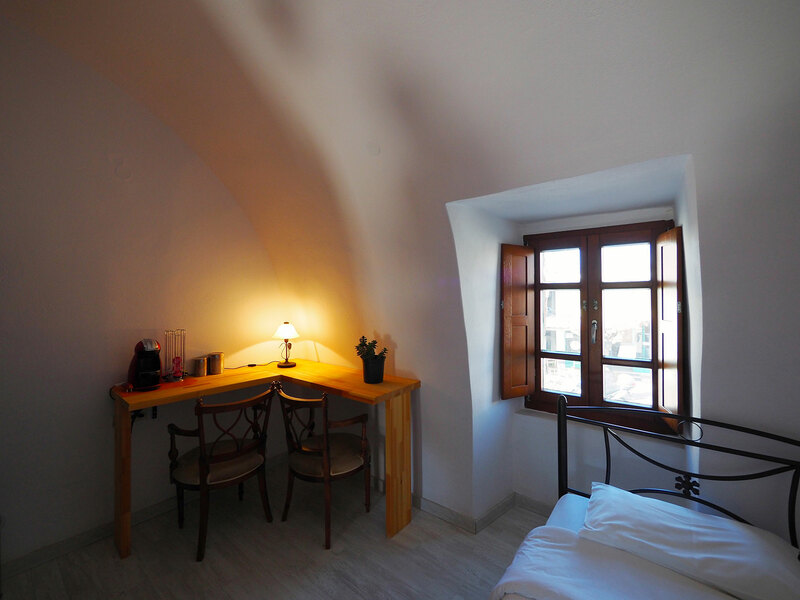 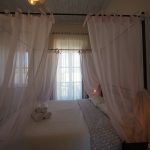 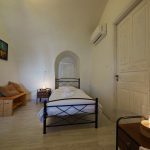 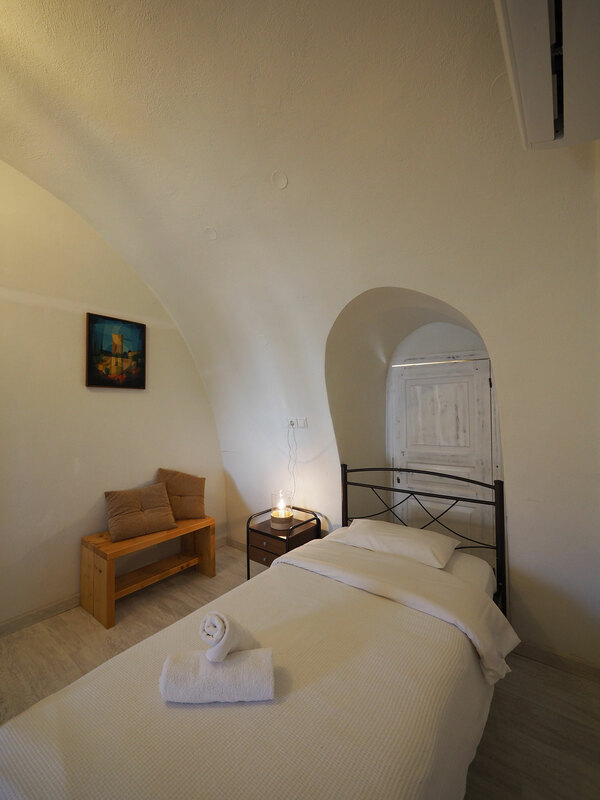 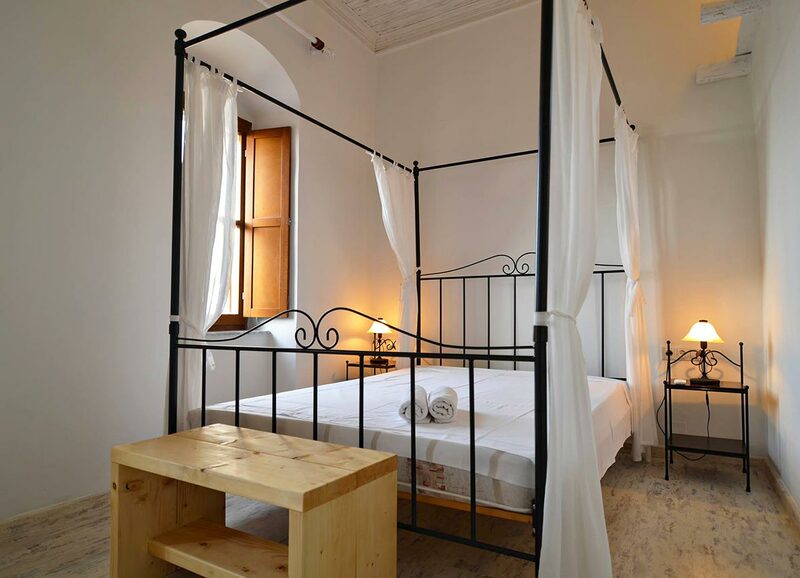 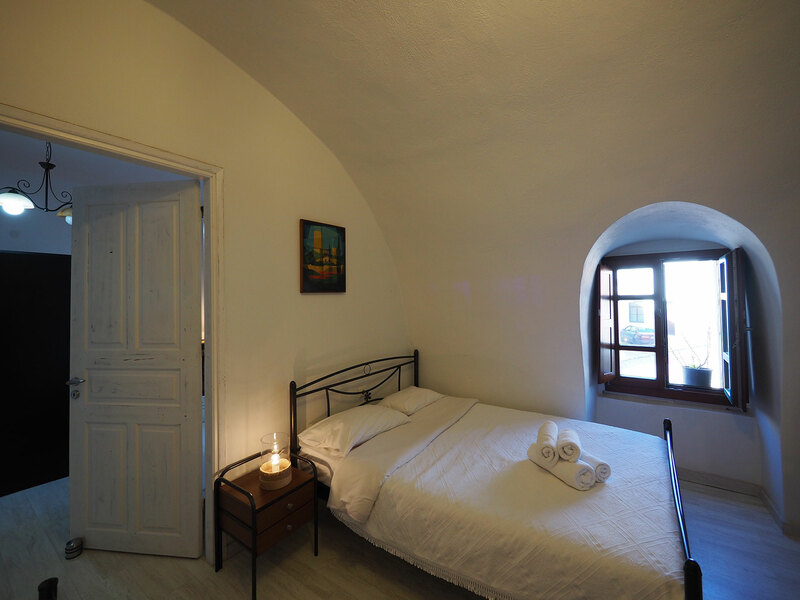 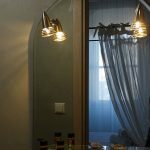 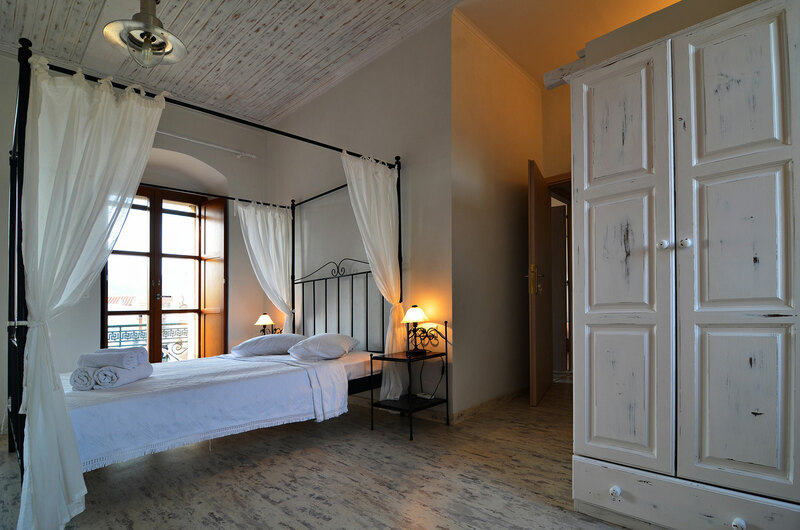 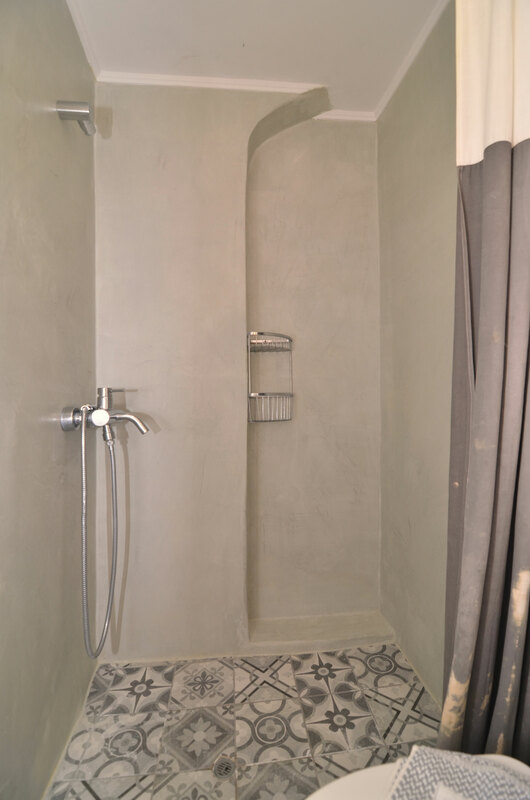 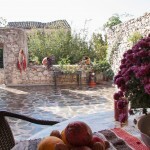 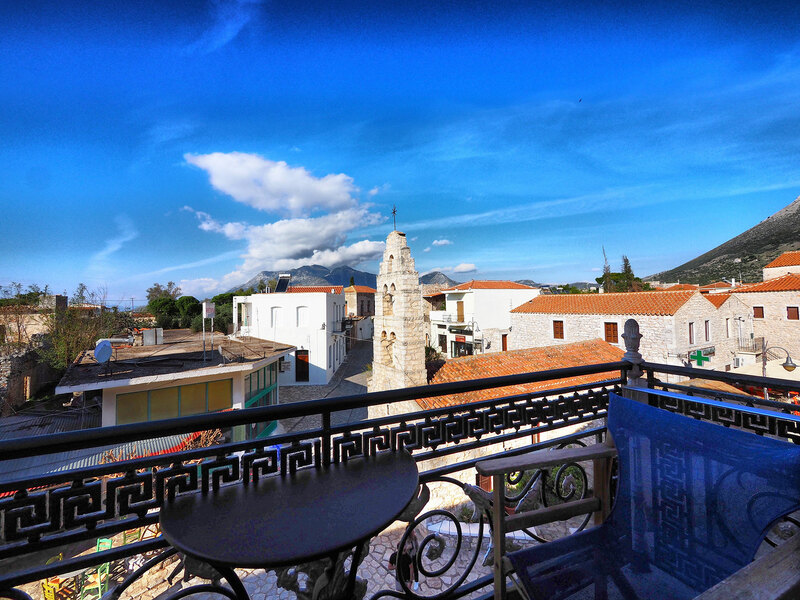 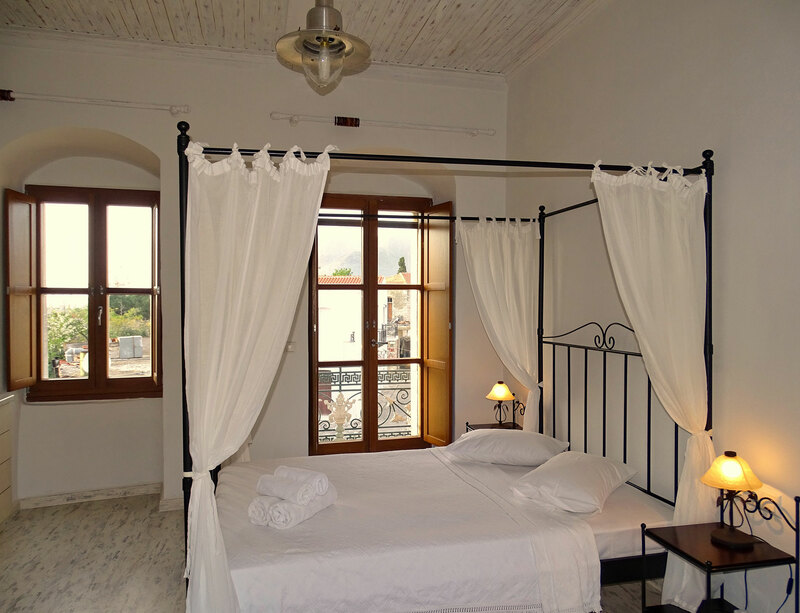 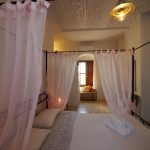 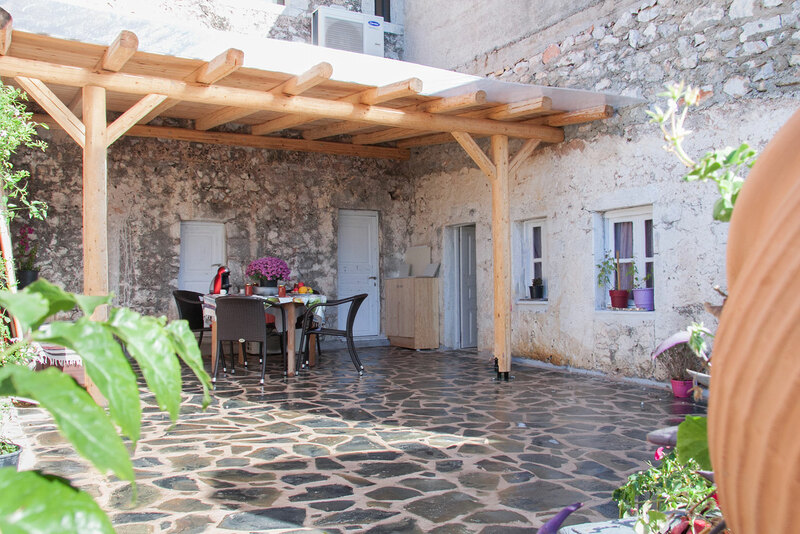 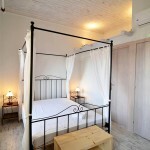 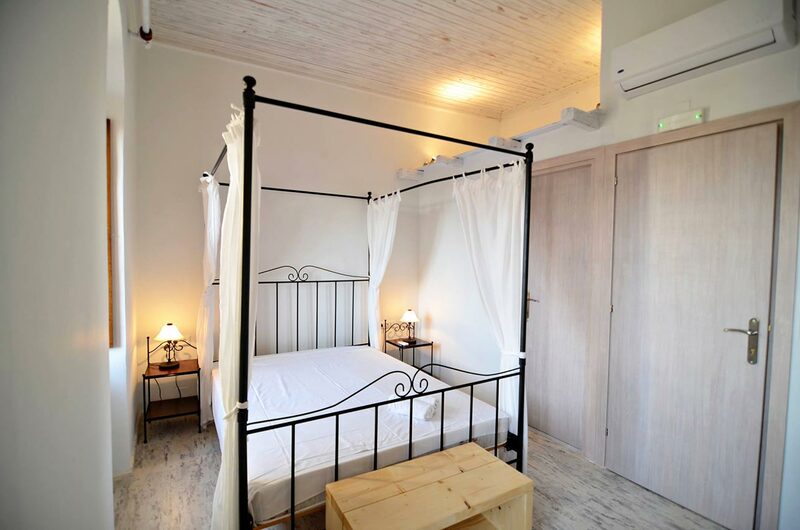 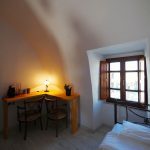 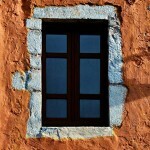 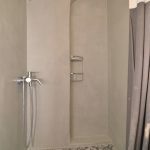 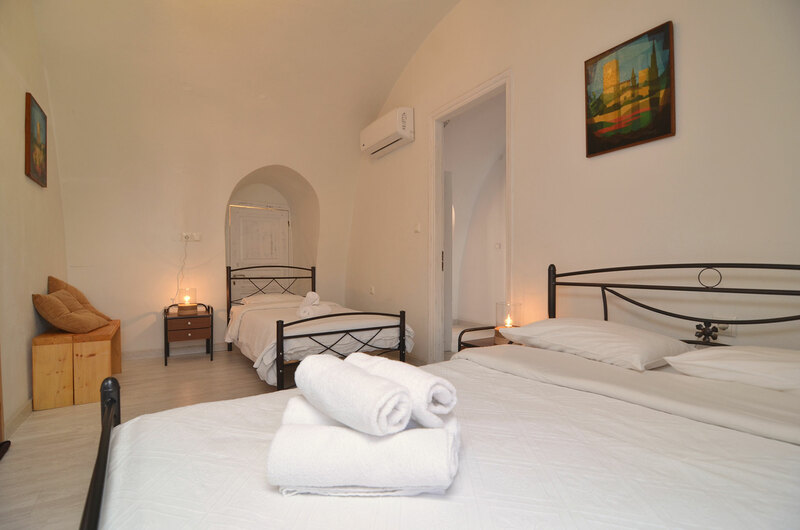 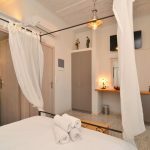 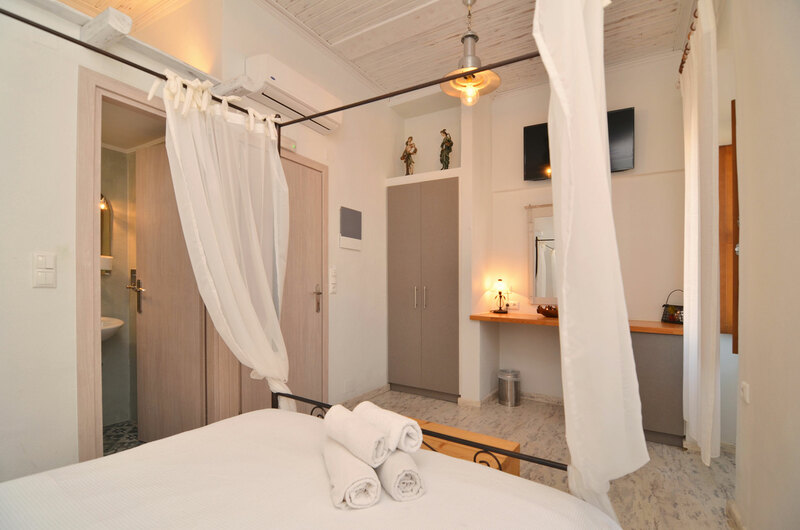 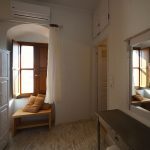 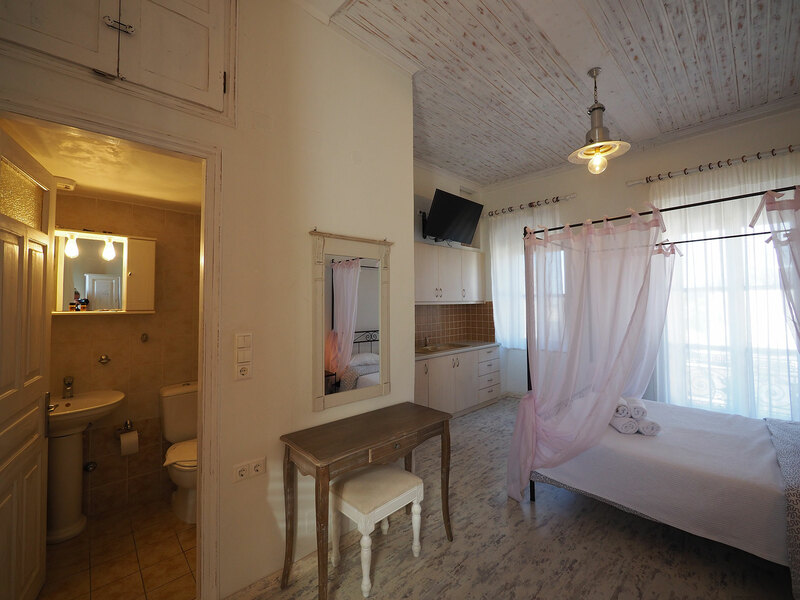 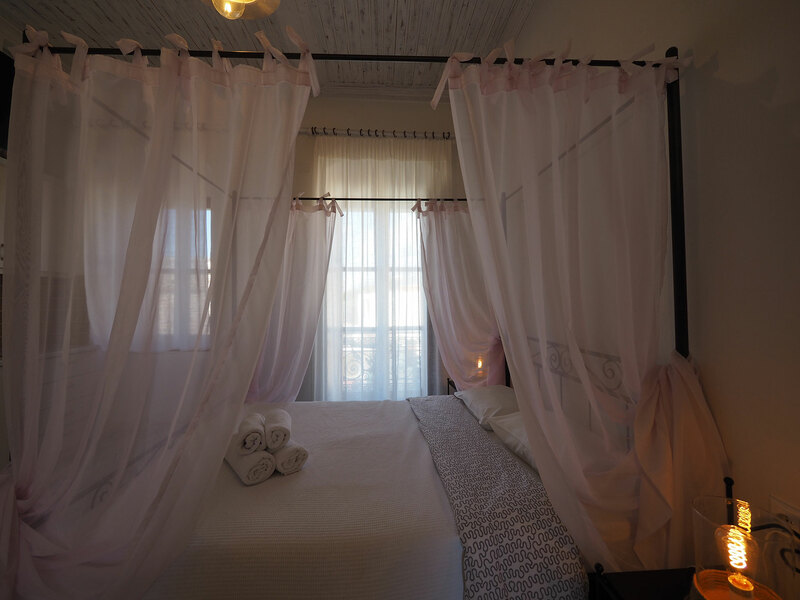 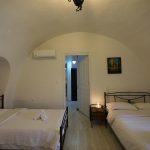 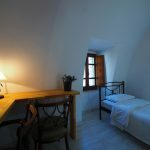 Situated in the heart of its old center, at Niarhakou square, directly across from the photogenic church of Panagia, on the main pedestrian zone leading to the historical main square, Sofia Guesthouse is housed in a beautiful stone-building of 1880, which preserves the genuine ambience and the charm of the old age. 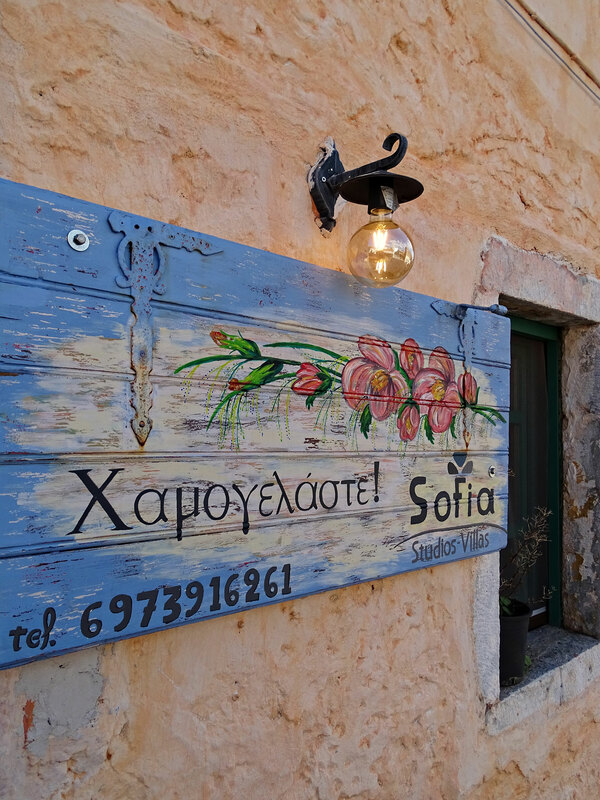 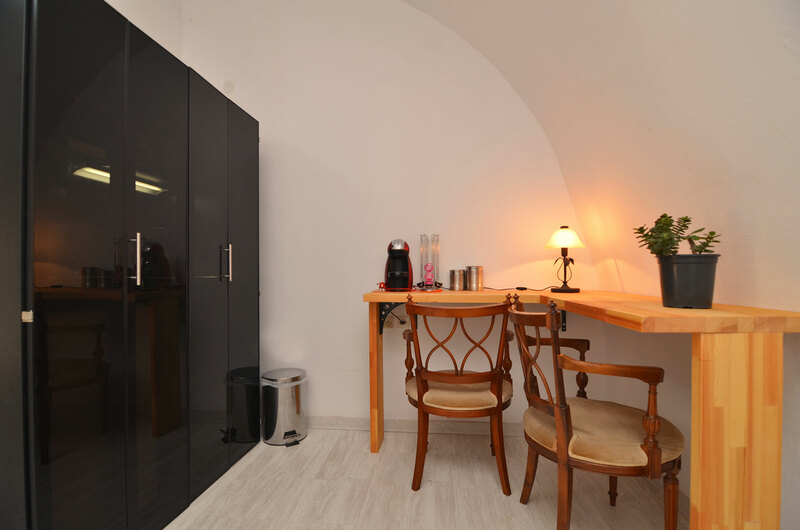 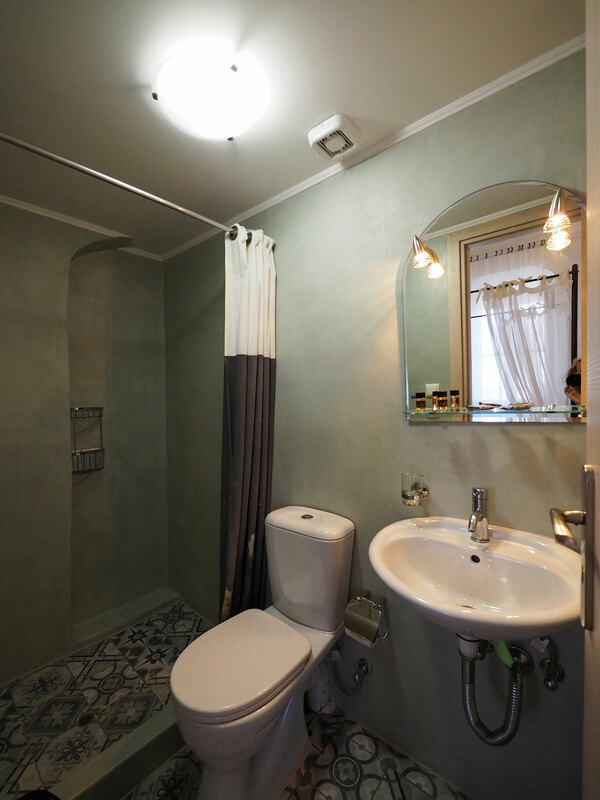 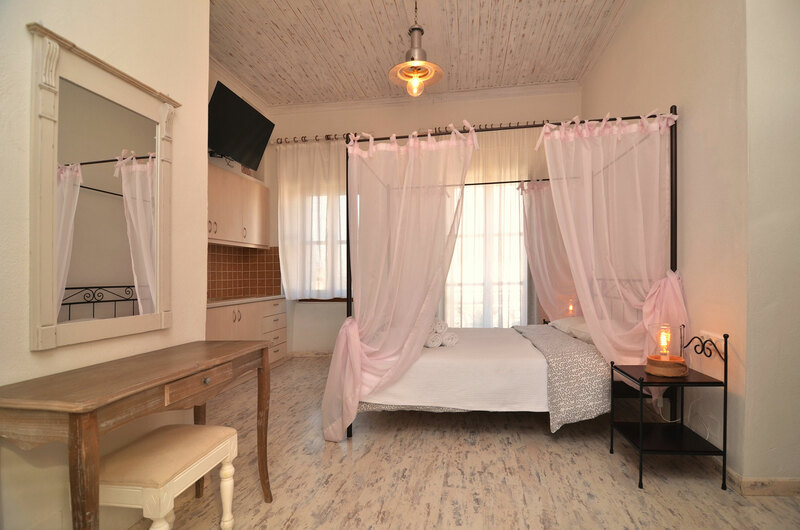 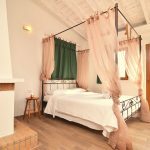 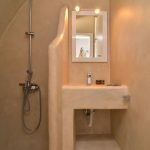 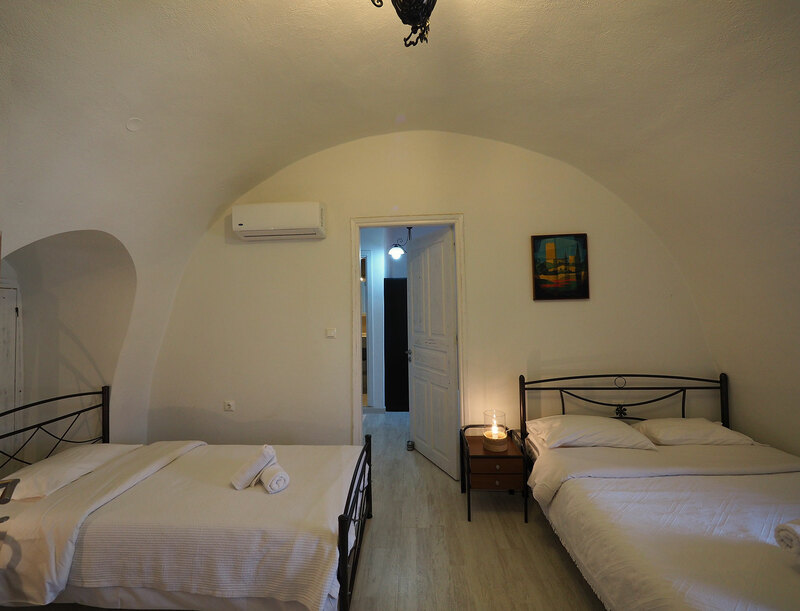 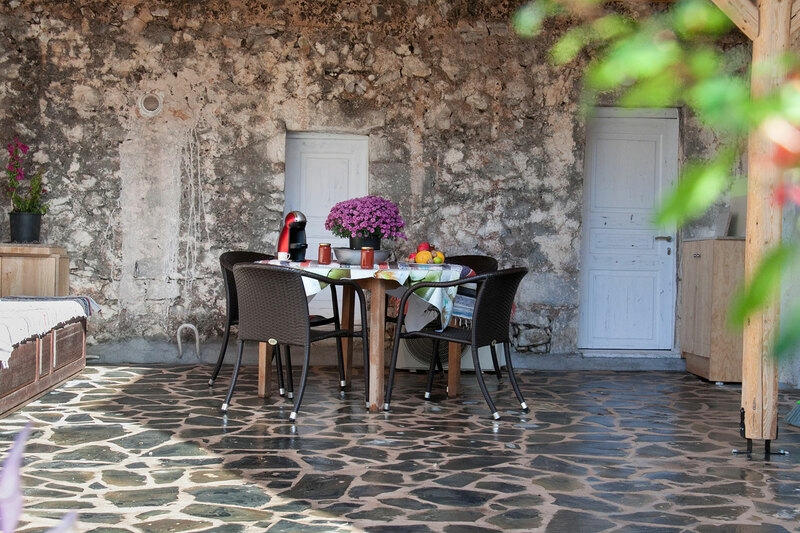 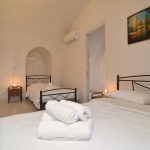 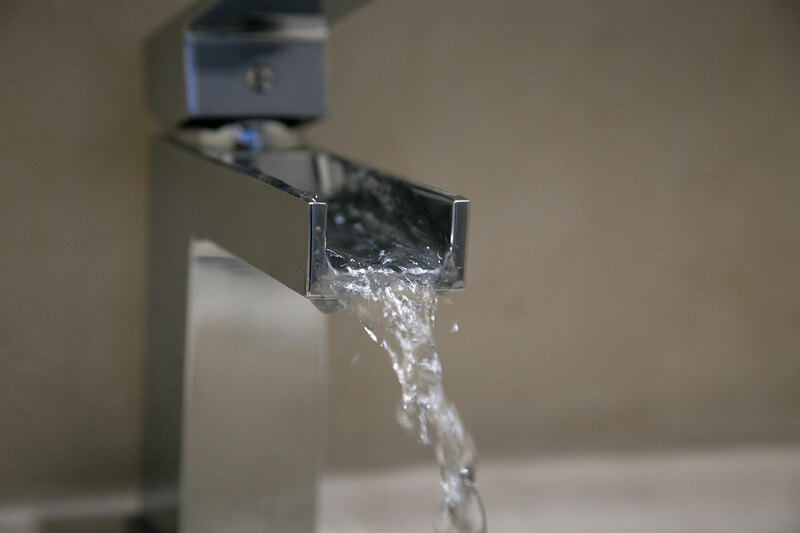 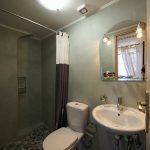 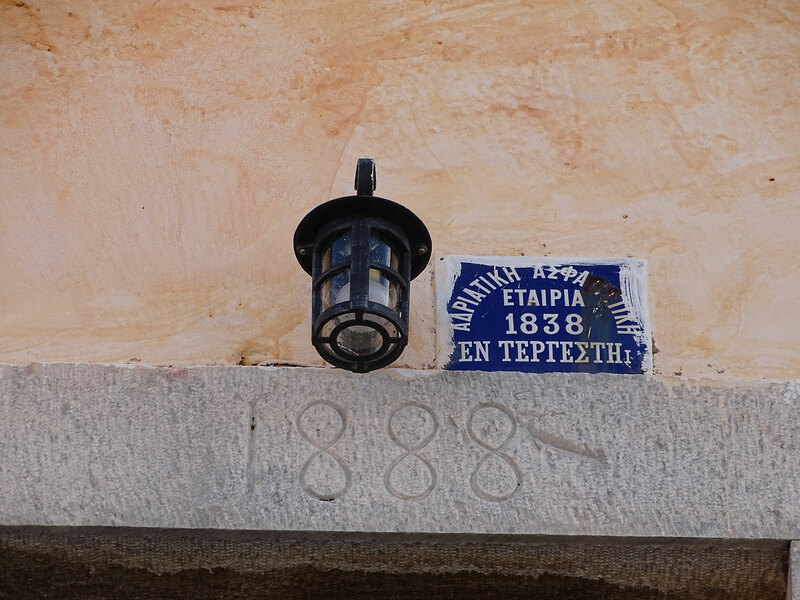 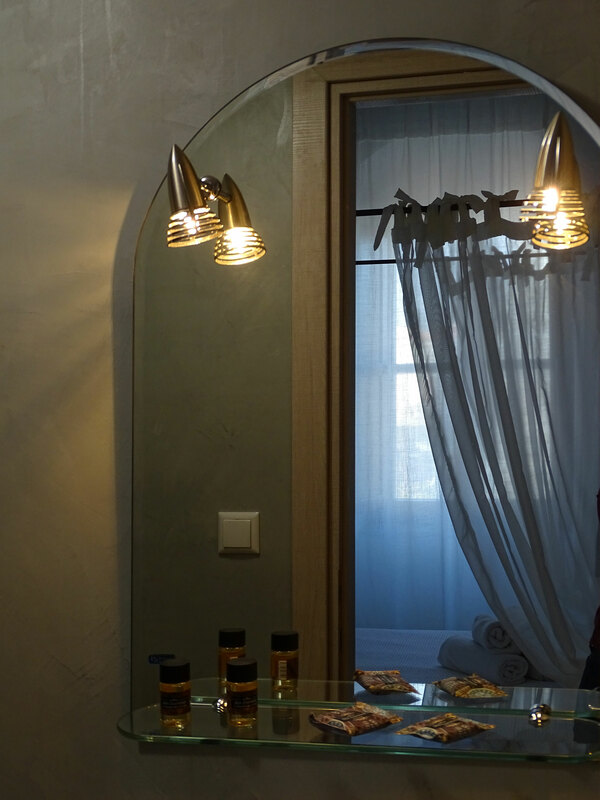 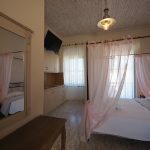 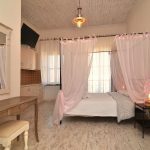 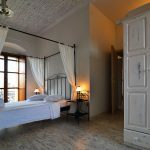 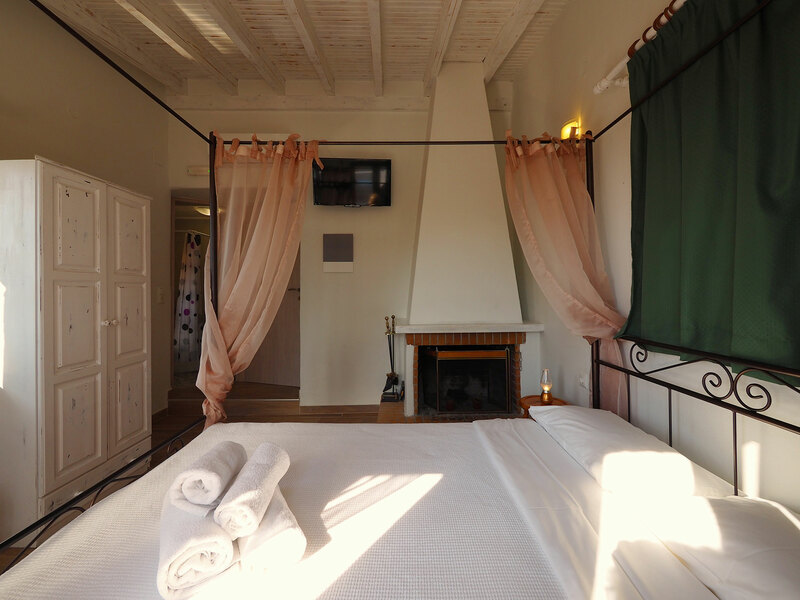 Restored in 2016 with respect to the local style, Sofia Areopolis Guesthouse is equipped with all the modern amenities and provides high end accommodation. 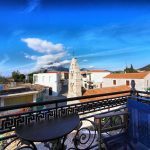 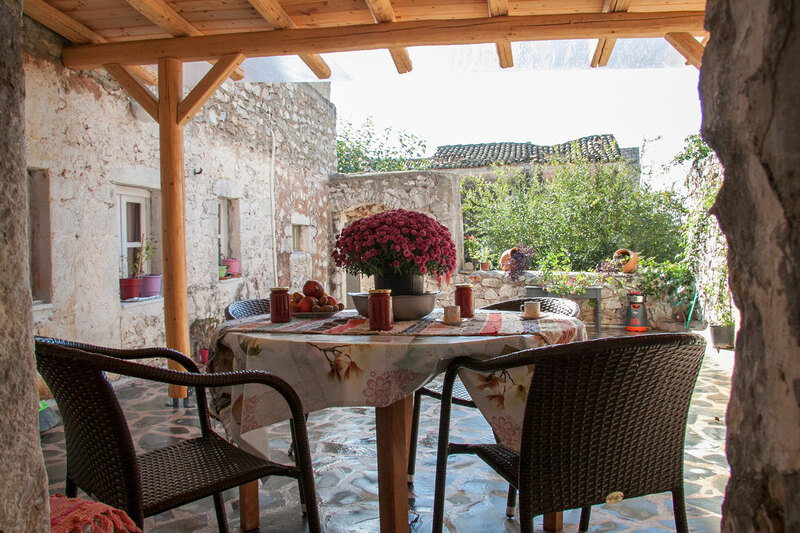 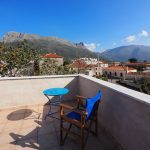 In its quiet backyard you can enjoy peace and privacy whilst from the balconies and windows of the guesthouse you can enjoy views to Areopolis and the surrounding mountains. 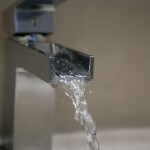 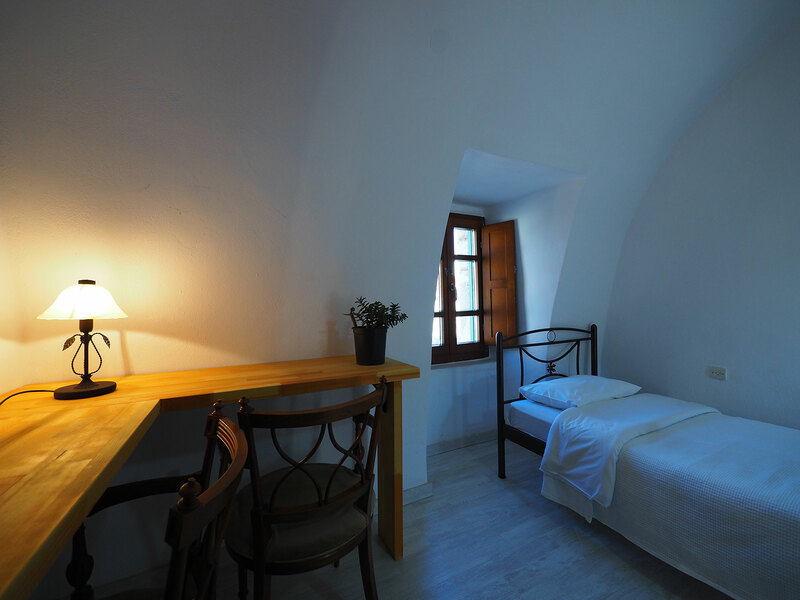 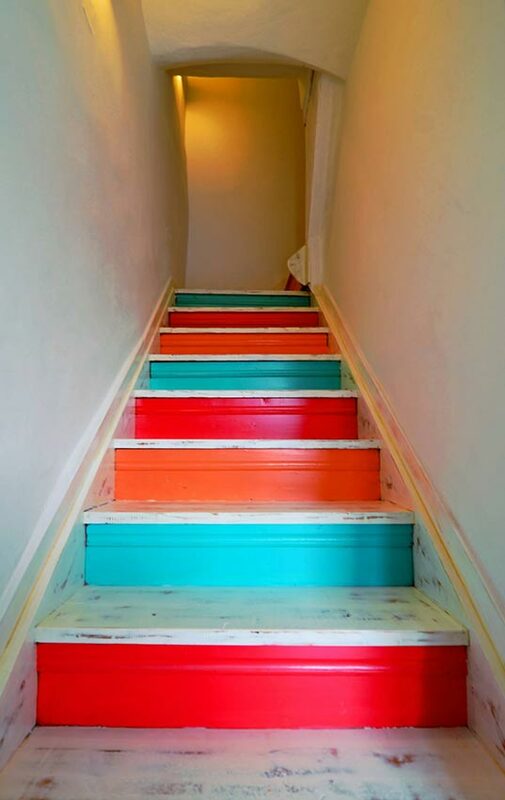 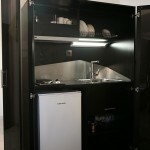 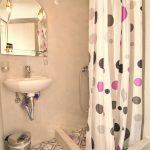 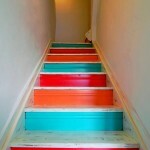 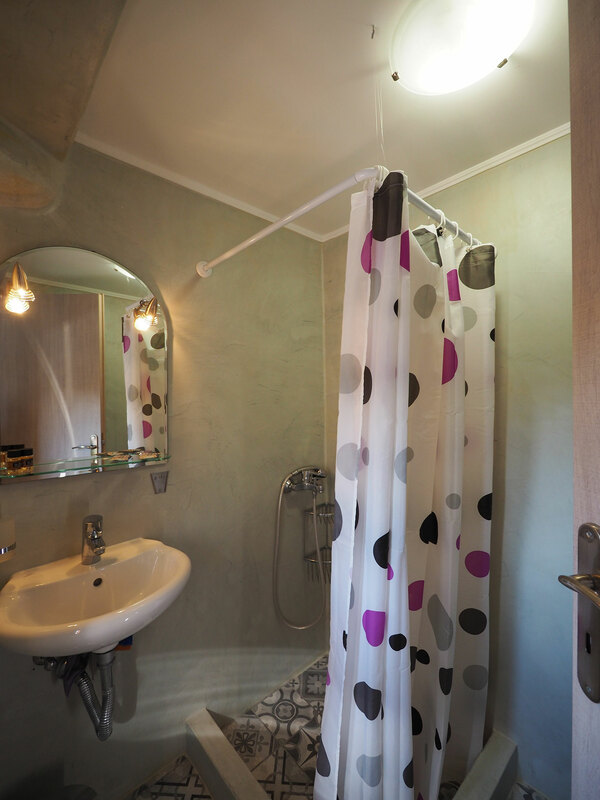 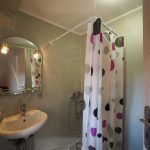 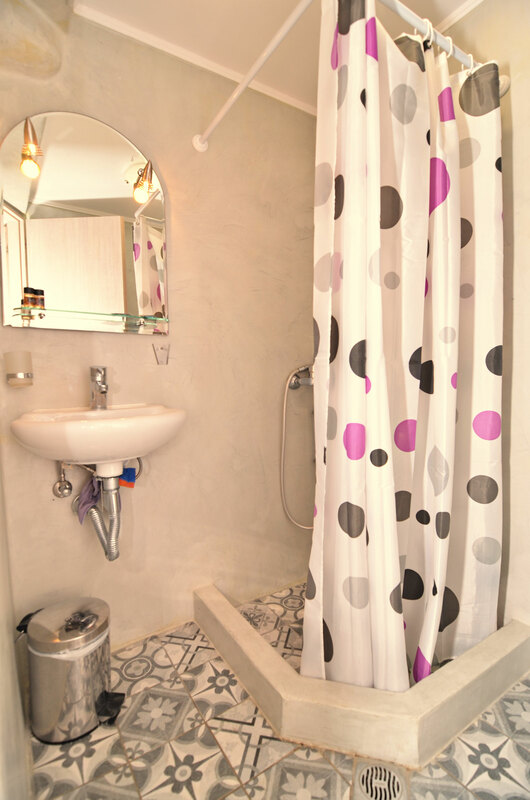 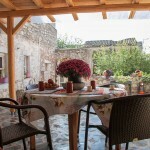 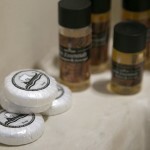 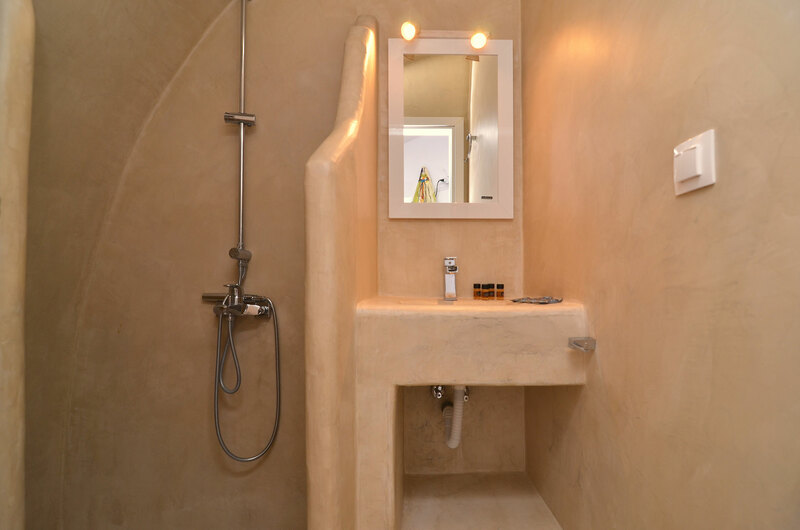 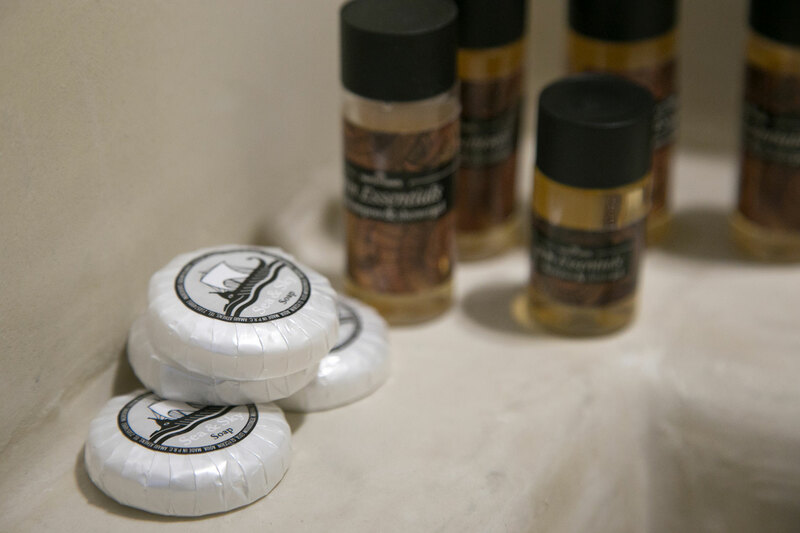 Sofia Areopolis Guesthouse occupies two floors and consists of 4 suites. 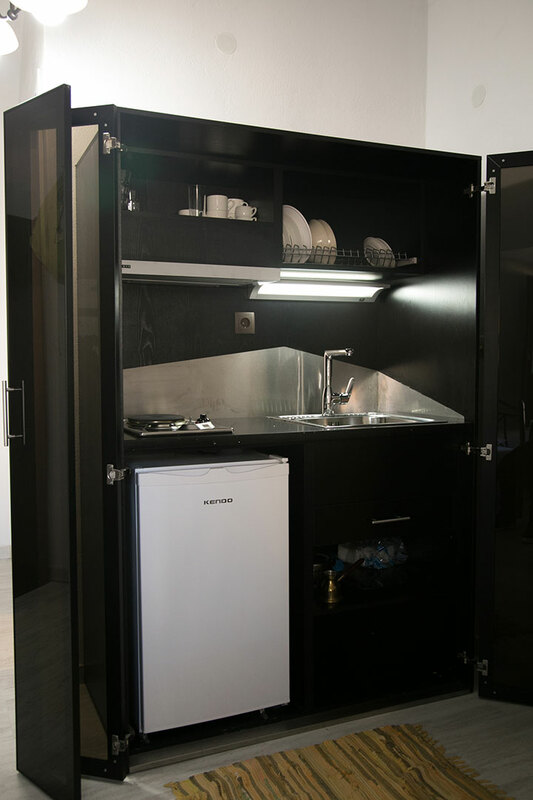 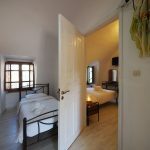 On the first floor there is a quadruple suite, which can accommodate up to 4 people, with a luxury kitchenette and access to the spacious courtyard. 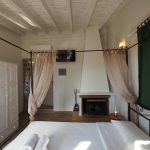 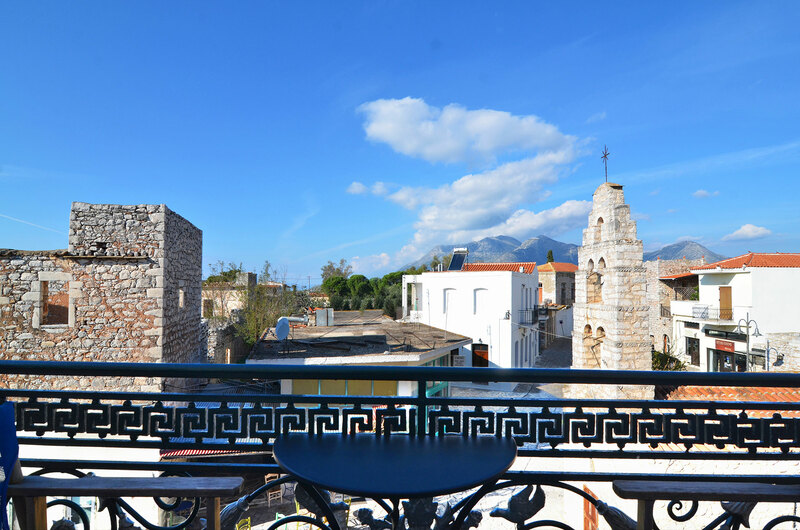 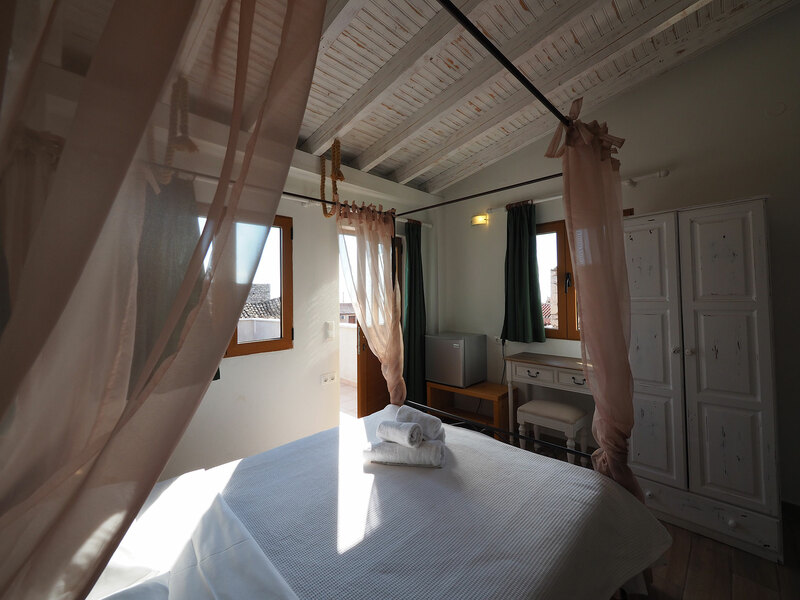 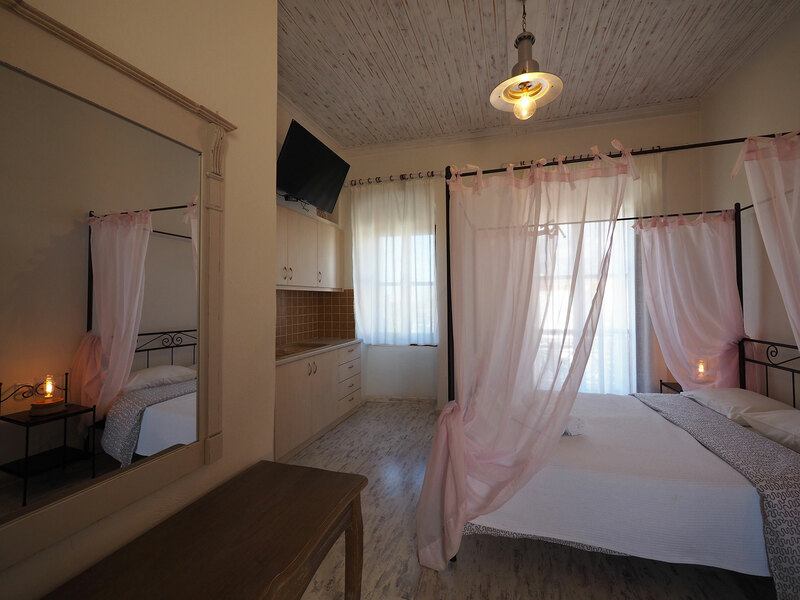 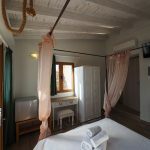 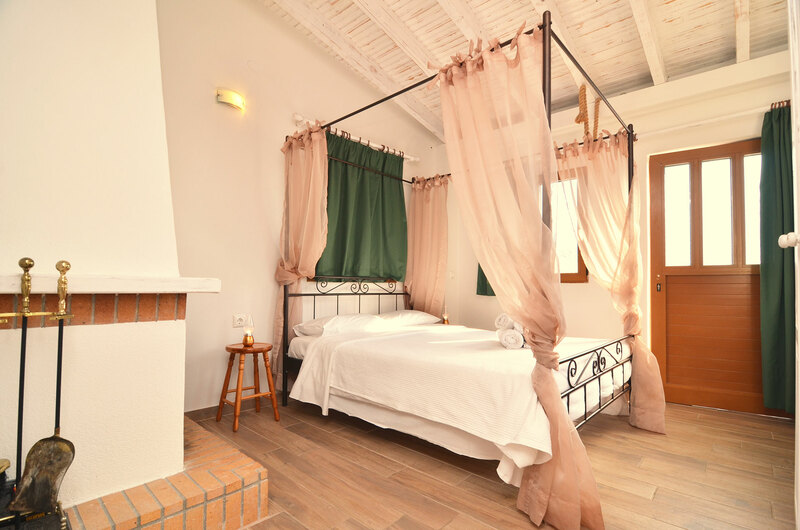 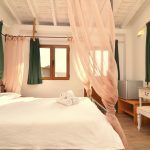 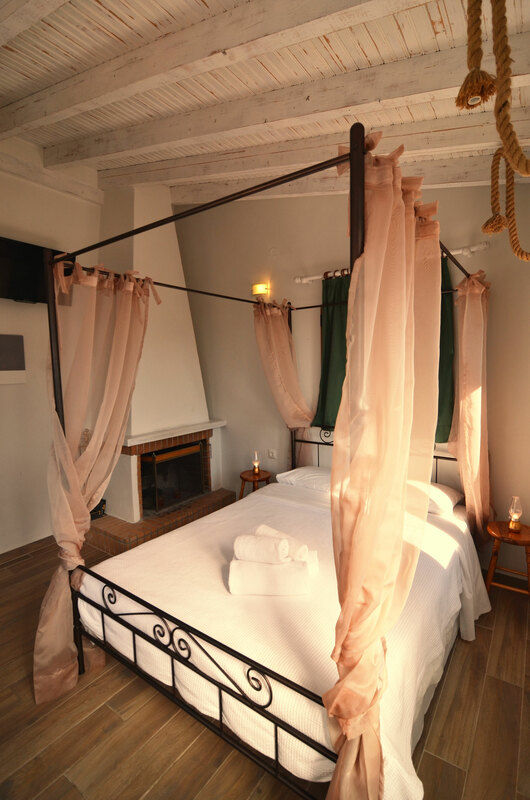 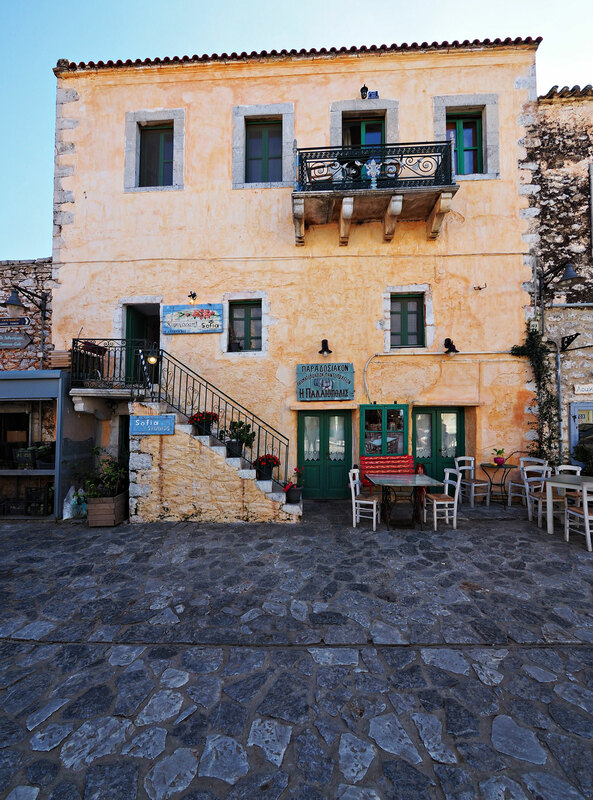 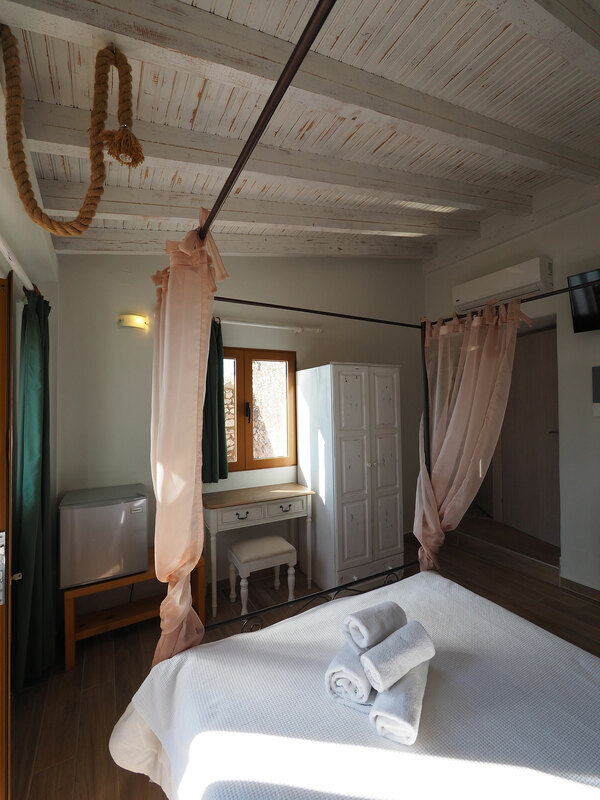 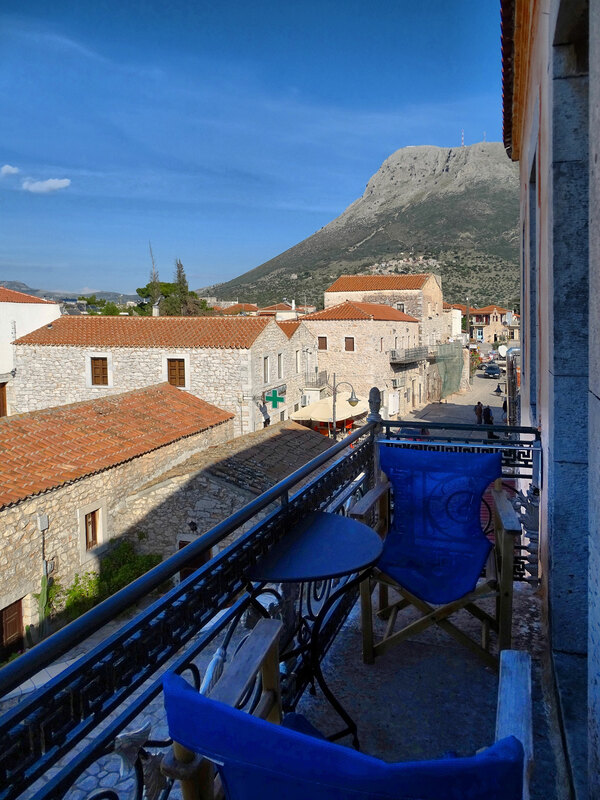 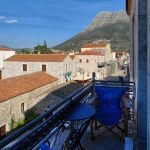 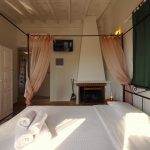 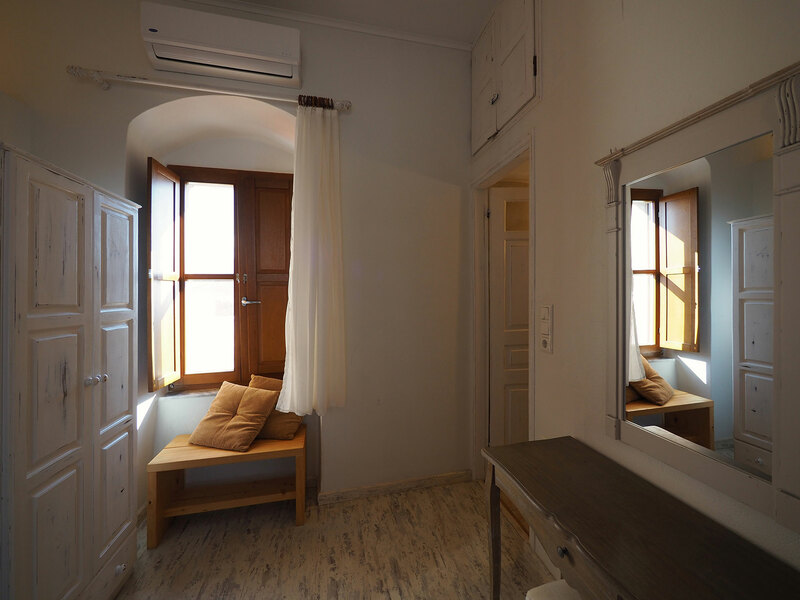 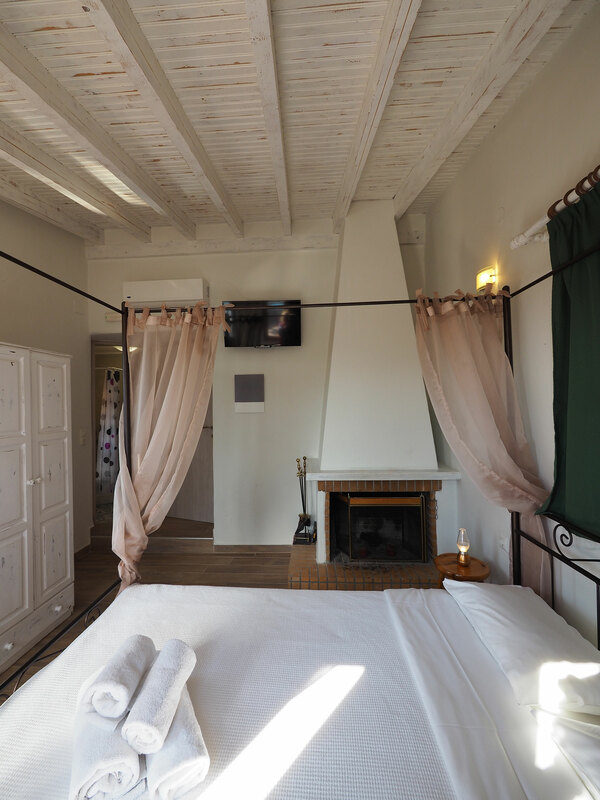 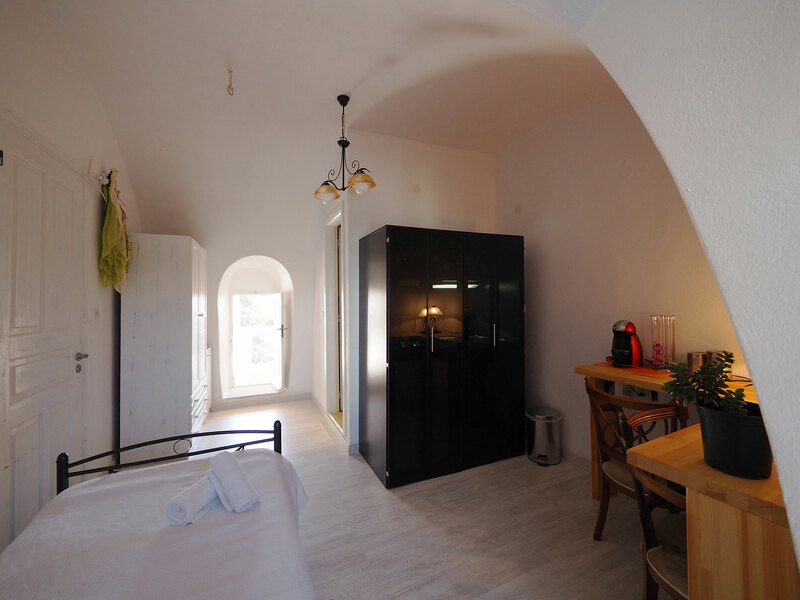 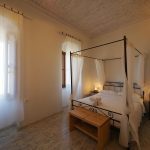 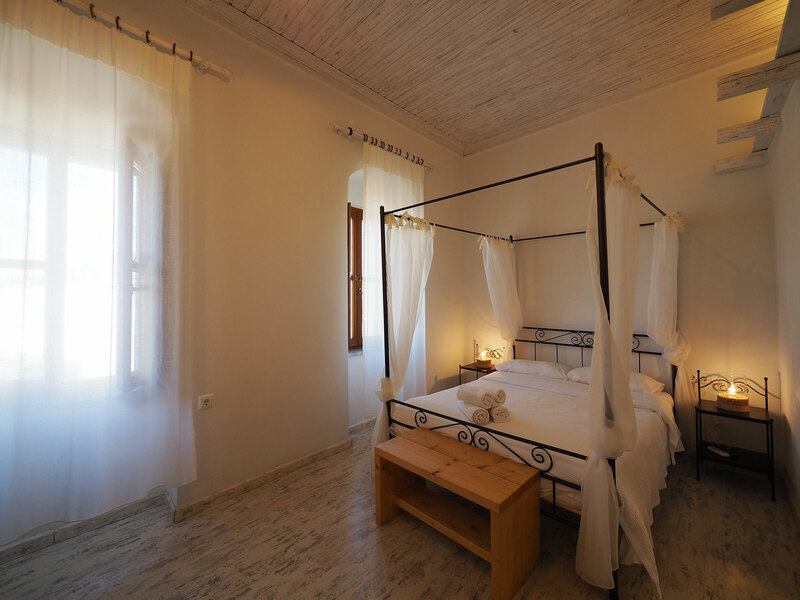 On the second floor there are three double suites; two of them are located on the front side of the guesthouse with views to the town and the third one, features a fireplace and a spacious balcony overlooking the houses of Areopolis and the surrounding mountains. 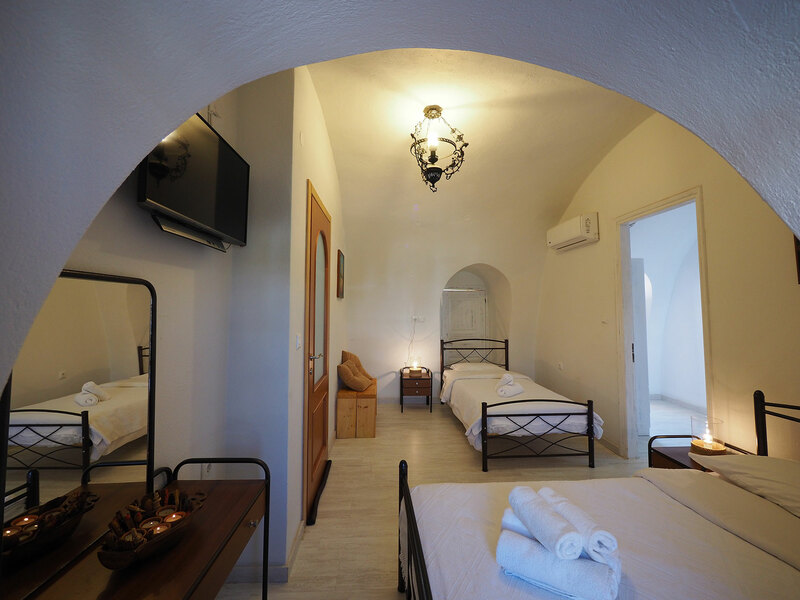 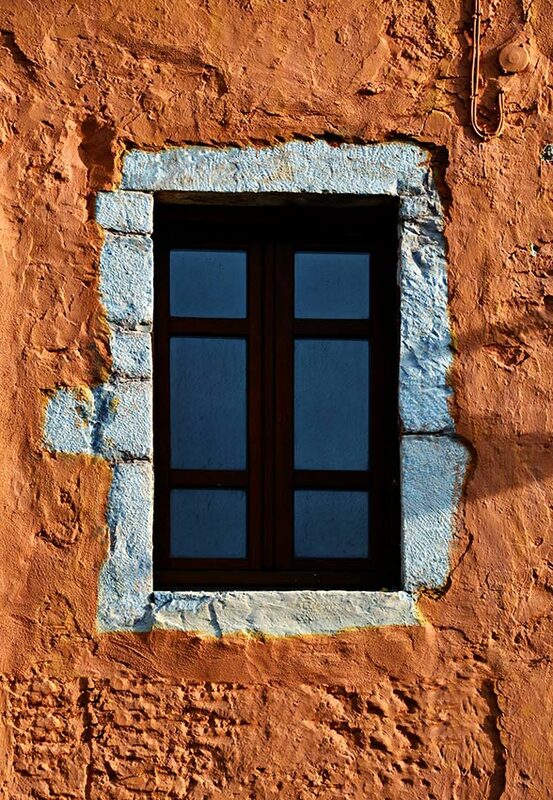 All the double suites, with their vintage beds and romantic details as well as the quadruple suite, with the arched walls and the small door, which leads like a secret passage to an unexpectedly big courtyard, create an extraordinary, almost mystical feeling to the visitor.